I was at my sister’s this past week and she made chilil…. a nice dish to welcome the fall weather. It inspired me to make a pot of chili when I got home. Instead of my usual recipe where I marinate the meat overnight (which should be another entry), I put this together using hot peppers from our garden. Not sure what the variety of pepper it is, but it added a nice kick to the chili. 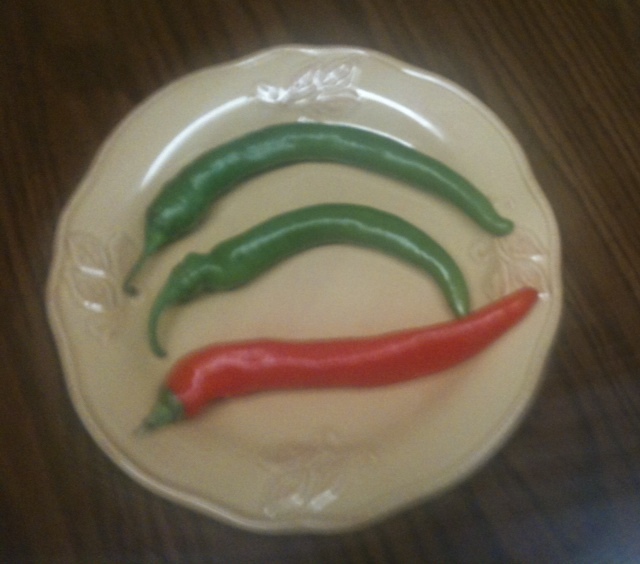 Here’s a picture of the peppers in case anyone knows what they are (I didn’t plant them). Here’s the recipe as I recall. There is no recipe to reference… just put it together as the mood suited me at the moment. Brown hamburger, seasoning with salt and pepper as desired & then set aside. Heat Olive Oil and then saute celery, garlic, and onions until soft. Add hamburger. Add Ancho chili powder, cumin, oregano and hot peppers. cook a few minutes. Add tomatoes, chicken broth, and kidney beans, mixing thoroughly. Cover and simmer 1-2 hrs to meld the flavors. Add water if it becomes too thick. Server with a dollop of sour cream or yogurt if desired. 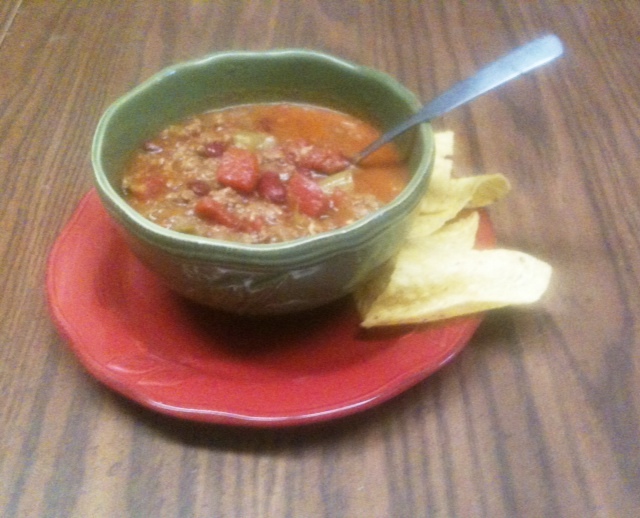 This entry was posted in Beef, soup and tagged chili, hamburger, hot peppers. Bookmark the permalink.